The legislature of Russia’s Republic of Tatarstan gathered in an unprecedented session to take measures against violent extremism. The move came two weeks after terrorists attacked top Muslim clerics in the region, killing one and wounding another. The session was called in the middle of the parliament’s vacation period, with the participation of representatives of district legislatures and the heads of traditional religious confessions, as well as top law enforcement officials. The session was broadcast live on regional television and radio. 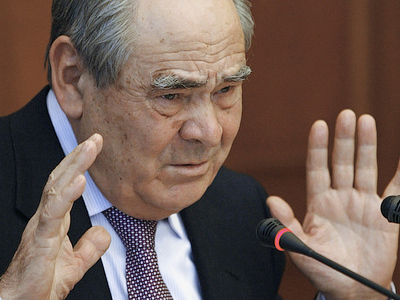 The meeting was opened by the head of Tatarstan’s State Council, Farid Mukhamedshin, who urged legislators to remember to strictly observe all constitutional freedoms and procedural norms as they reconsider the region’s anti-extremism laws. Police had registered the existence of several hundred extremists, including those with criminal records, Khokhorin said. He noted that when extremists were jailed, they often recruited more followers by promoting their views among other inmates. The Mufti of Tatarstan, Ildus Faisov, who was wounded when a bomb blast destroyed his car on July 19, also attended the parliamentary session. 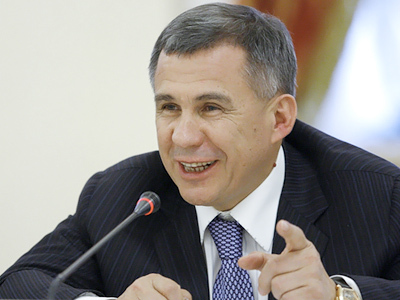 Faisov’s deputy, Waliulla Yakulov was shot and killed on the same day. Investigators cited ideological differences as the assassins’ likely motivation, as well as business disagreements over profits earned from the Hajj, the traditional Muslim pilgrimage to Mecca. 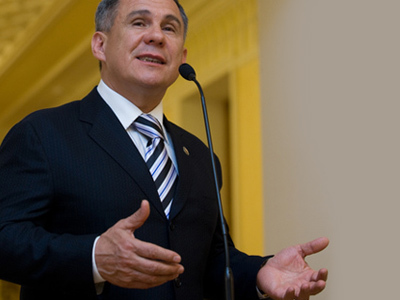 President of Tatarstan Rustam Minnikhanov said that the republic must keep its traditional Islamic faith while remaining tolerant of other ethnic and religious groups. Those spreading radical ideas are “our enemies,” he said. Minnikhanov called the recent assassination attempts against spiritual leaders an unprecedented event, and told officials to take every effort to prevent it from happening again. After a day of discussion, parliament passed a resolution that charged the government with amending federal laws on religion to prevent the spread of the extremism. The legislation suggested that the government should organize anti-extremism training for state officials at every level. Tatarstan has population of roughly 3.8 million, half of whom are traditionally Muslim Tatars and Bashkirs.